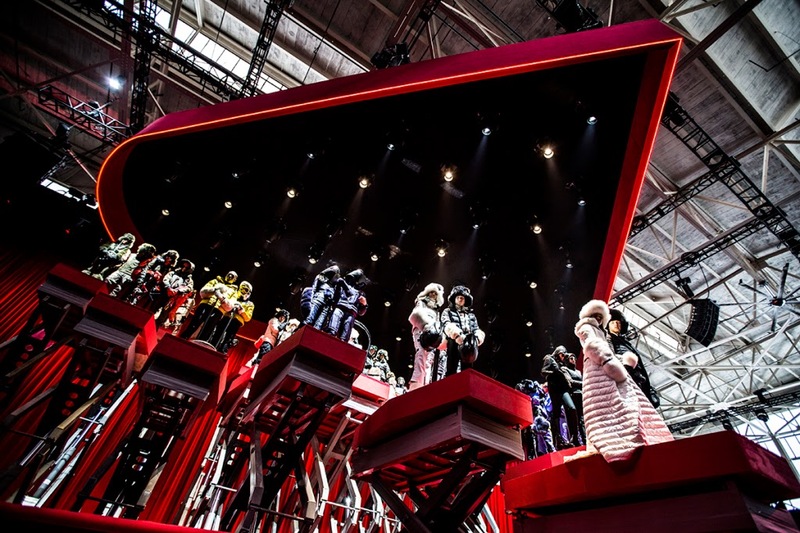 A celebration of the magic and the driving force that is love, of its eternal beauty and energy, alongside a coral performance representing the world of sport: a world built and experienced around profound passion and utter dedication, just like Moncler. 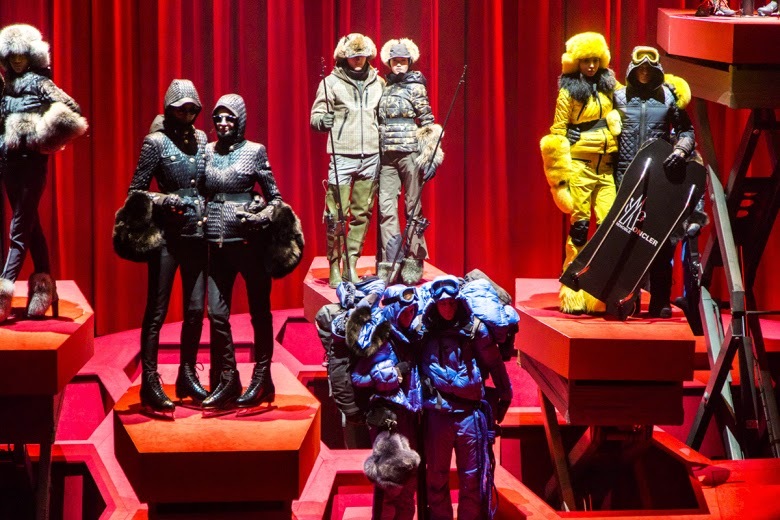 It is the message for the event which presented the Moncler Grenoble Fall-Winter 2015/16 Collection under the evocative banner of “Love Factory”. 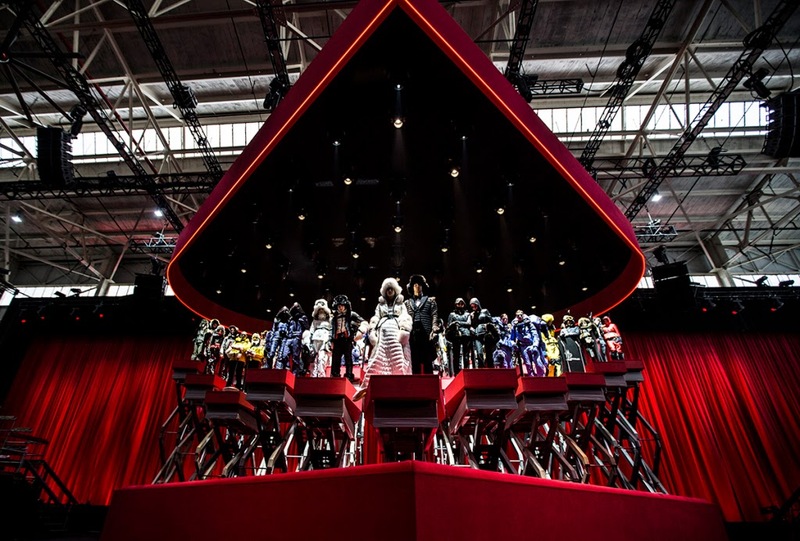 A performance that took place in NYC on 14th February in the bright premises of the Duggal Greenhouse, a renovated industrial construction overlooking the Hudson in Brooklyn. It is a clean, powerful motion interwoven with delight. 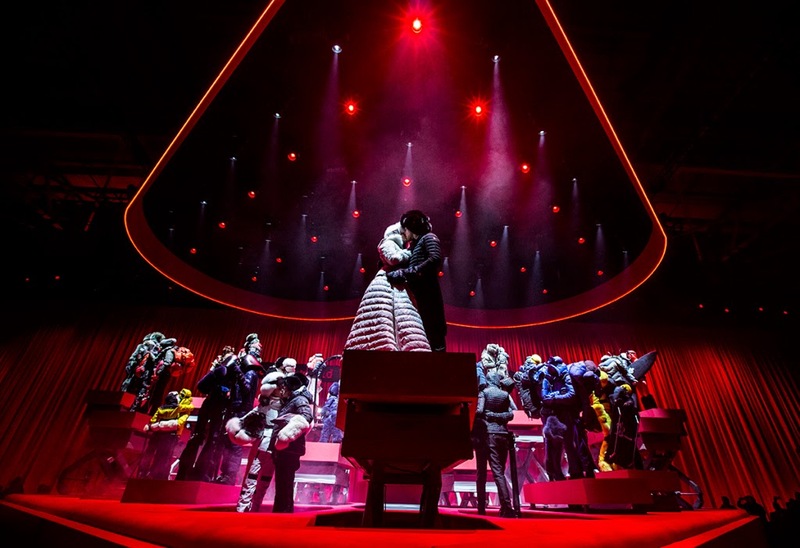 A fully-fledged “Hymne à l’Amour”, a magnificent ritual of sharing charged with symbolic and emotive effects, shot through with countless feelings whilst also being dedicated to unbridled fun. 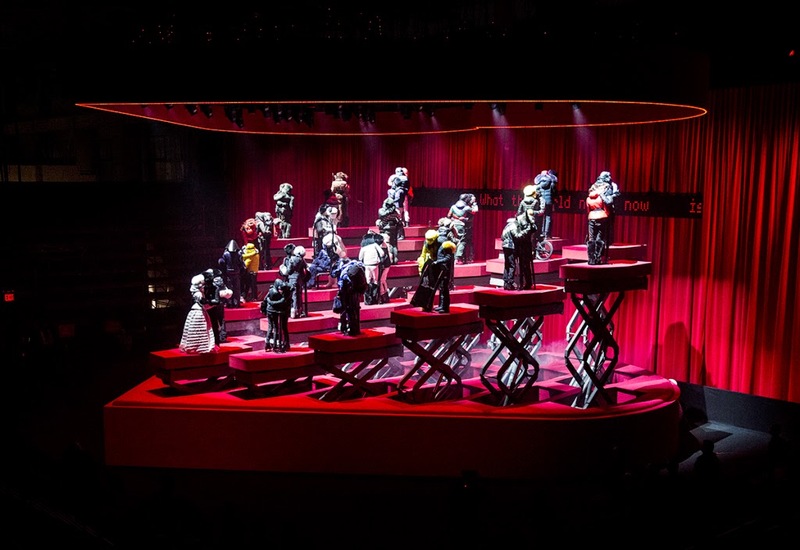 In the vast central hall of Duggal House, an enormous box-shaped heart, a macroscopic romantic and tongue-in-cheek chocolate box of deliberate pop inspiration is to be set in the middle of the audience stands. 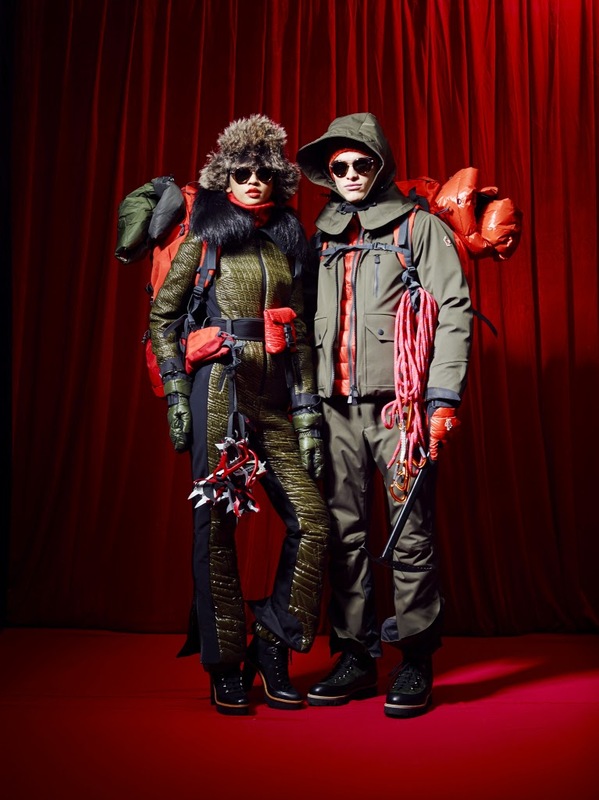 A red box, vivid crimson as vibrant as passion itself revealed surprising contents: 25 couples who were lifted from their bed by a by a hydraulic piston, each of which portraying a different winter sports discipline.